THE B-MOVIE NEWS VAULT: Phan-tastic News: Well Go USA snags rights to distribute Coscarelli's Phantasm series! 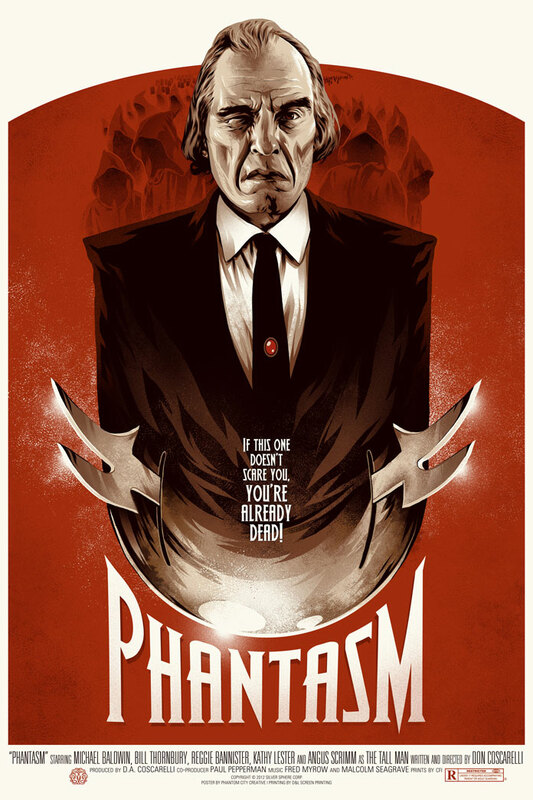 Phan-tastic News: Well Go USA snags rights to distribute Coscarelli's Phantasm series! Along with PHANTASM: REMASTERED, Well Go USA is also issuing HD redos of PHANTASM III: LORD OF THE DEAD and PHANTASM: OBLIVION. Plus.... they are releasing PHANTASM RAVAGER theatrically (select theaters on October 7th) and on VOD, DVD, and Blu-ray later this year! Go ahead and scream with delight. It's ok, I'll wait. For a further details, scope out the press release below and get excited!! Well Go USA Entertainment announced its acquisition of North American rights for Don Coscarelli’s legendary Phantasm series, including: An all-new 4K restoration of the original 1979 cult classic, Phantasm: Remastered, never-before-seen HD restorations of 1994’s Phantasm III: Lord of the Dead and 1998’s Phantasm IV: Oblivion, and the long-anticipated debut of the fifth and final film in the series, 2016’s Phantasm: Ravager. A Blu-ray and DVD Collector’s Edition Set of the Phantasm series will follow later this year, along with individual Blu-rays and DVDs of Phantasm: Remastered and Phantasm: Ravager, all of which will be packed with special bonus features. "I’m thrilled to be working with Well Go USA and their talented and dedicated team,” said Phantasm creator Don Coscarelli. “I am excited by their innovative new ideas and intense drive to bring the Phantasm franchise to a new generation of fans." As excited as I am for this news, I do have a few reservations, but that's mainly because I'm largely unfamiliar with Well Go USA. Aside from a few foreign titles (TAI CHI ZERO, TAI CHI HERO, and CHRONICLES OF THE GHOSTLY TRIBE) I haven't seen enough of their releases to decide if they are up to the task. Here's hoping that they knock it out of the park with the design of the packing and cover art, and most importantly, the extras! Details on Well Go USA's upcoming DVDs and Blu-rays have yet to be released, so stay tuned as I anxiously await more updates!